Nintendo has confirmed that both Splatoon 2 and Super Smash Bros. on Nintendo Switch will represent their competitive E3 invitational for E3 2018. The Splatoon 2 World Championships and the Super Smash Bros. Invitational will take place on June 11th and June 12th in Los Angeles. 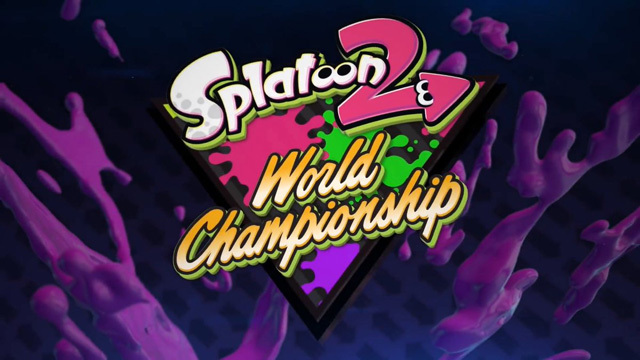 To partake in the Splatoon 2 World Championships, players can register now for an online qualifying event to begin on April 21st at 11 AM Pacific through the 28th at 8 AM Pacific. Players can register teams of four players ages 13 and up to compete, and teams from North America, Japan, Europe, and Australia will compete to be invited to E3 for the finals. For the Super Smash Bros. Invitational, Nintendo is inviting an undisclosed number of professional players to partake in the E3 competition. This will mark the first time the Switch sequel to Super Smash Bros. will be playable to the public and will have strong presence at Nintendo’s booth. This year’s double-feature of Splatoon 2 and Super Smash Bros. marks the latest of Nintendo’s competitive events held at the Electronic Entertainment Expo, which began in 2014 with a Super Smash Bros. Invitational to advertise the then-upcoming Wii U version. As usual, Nintendo will host these events on Twitch during E3 week, which will then be archived on YouTube. E3 2018nintendo switchsplatoon 2Super Smash Bros.